Dheeraj Patil | Green Space Alliance | Urban designers | Planners | Landscape Architects. GSA’s founding principal Dheeraj Patil has over 15 years of international experience in Urban Planning, Urban Design and Landscape Architecture. Dheeraj strongly believes in incorporating ecological, social and cultural principles in every community development projects. He has experience of working with a public as well as private sector projects ranging from large scale urban planning, urban design to landscape architectural projects. Recently, he has been working on smart cities concept with focus on efficient resource management and effective project implementation. In last fifteen years, Dheeraj has worked and collaborated with a number of international firms in Hong Kong, China, Taiwan & India. He has accumulated a vast experience in leading design teams for the design development of eco-city master plans, low carbon community designs, urban design strategies, conceptual architectural design and landscape design. He has a strong track record of winning various national and international design competitions. 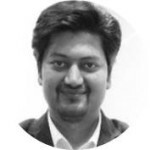 Dheeraj completed his MSc urban planning from the Hong Kong University on an ADB Scholarship where he strongly reflected his viewpoints of integrating urban growth patterns, public transit systems, built form and public realm elements.